Provincial Deaf and Hard of Hearing Services (PDHHS) hosts an ASL Immersion week for parents of deaf/hard of hearing (DHH) kids over the age of 5 once a year during the summer holidays. Parents come together in one of four levels (you determine your own level) for three days of intensive ASL classes, while children are off with Deaf Youth Today (DYT) summer camp. 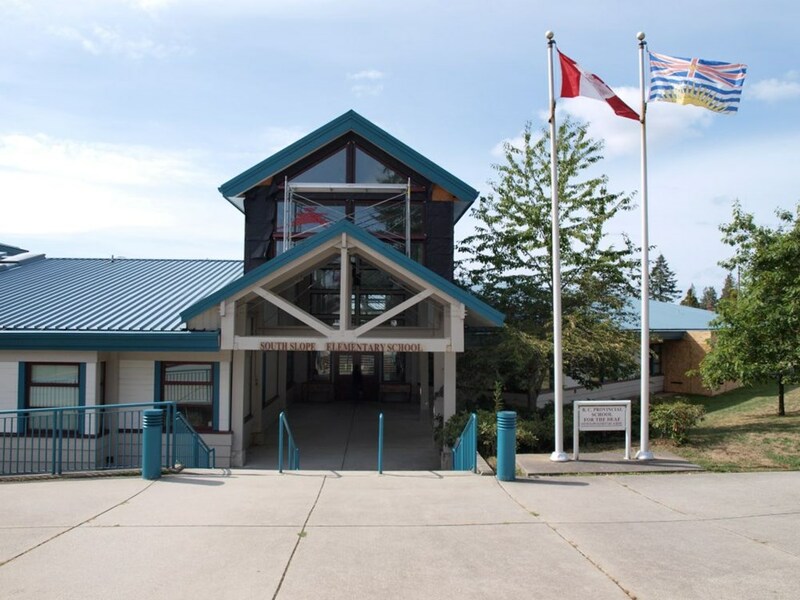 All classes are held at South Slope Elementary School in Burnaby. On the last day of the week, parents and their kids come together for a full day of fun in ASL in beautiful Stanley Park. For families who live outside the Lower Mainland, a limited amount of family housing is available. Our child’s hearing has dropped over the years and we’ve realised that we needed more communication opportunities for those times when the aids aren’t being worn, or can’t be worn (for example during the winter months he seems to get more colds and his hearing is affected, or while in the pool, when the listening environment is tough for anyone). Our family’s exposure to ASL has been limited; we’ve attended a few parent workshops led in ASL and we’ve seen interpreters at parent support coffee nights. Our son’s exposure was even more limited – attending the fun family picnic in June once a year was the only time he saw people signing. When we did attend and the DYT staff would engage him, he was always very interested, absorbing whatever sign they happened to teach him. He would watch intently and imitate the sign being taught (“butterfly! – do you see the butterfly?”). The DHH community is a wide and beautiful spectrum of communication modes, and we realized that we wanted him to be more connected and aware of this vibrant community of which he’s a part. Given our limited experience, I was a little nervous about a full day’s worth of ASL for myself and also camp for my child. Would he be able to communicate? Would he make friends? Would he have fun? My answers came quickly after the first day when I picked up my child – sweaty, tired, and happy. My own misconceptions of DYT made me think that ASL was the only language used, but in reality a full spectrum of communication methods are used, including two interpreters who will speak for someone who signs, or sign for someone who speaks. . The emphasis is ASL but some youth use both spoken language and ASL, acting as wonderful models of how there is no one way that works for everyone. My child made friends and greatly enjoyed his time with the DYT staff. More importantly, his interest in ASL grew exponentially with each day at camp. He was eager to show me all he had learned each day, from finger spelling his name, useful verbs and common nouns and of course, my favourite “I love you”. One evening that week he came out of his room shortly after being put to bed and signed “I’m thirsty. Water please.” I was shocked and delighted! If I had had any doubts about my decision for us to join Immersion Week they were gone. My own experience mirrored my child’s. The adult classes were taught by engaging instructors with lots of opportunity to practice and also get to know my fellow parent classmates. We all had different backgrounds and experiences with ASL but we shared the goal of improving our ASL skills to share with our families. The days were intense and each night my head swirled with all the signs I had learned and needed to practice but my skills improved and by the end of the week I was conversing and asking meaningful questions of my instructor and peers in ASL. Whatever level you begin at progress is guaranteed. The final day we all spent together was an opportunity to use the language we had learned and just have some fun together. It was a highlight for sure. We all rode a school bus to Stanley Park, enjoyed a picnic lunch, the kids played on the playground and then came together for an afternoon of fun ASL based games. Friendly competition between teams made for an exciting afternoon as well. It was an amazing week for all of us. We made meaningful connections with peers and instructors, our ASL skills really improved, and it was lots of fun. I feel really lucky that we have this program and these types of supports in our beautiful province. This is a wonderful program to look forward to once your own child turns 5! We’ll be back next year for sure! For more information about this and the other amazing programs offered Provincial Deaf and Hard of Hearing Services click here. To learn more about Family Network for Deaf Children and Deaf Youth Today check them out here. This entry was posted in Articles, Deaf Culture, Families to Families. Bookmark the permalink. Follow any comments here with the RSS feed for this post.